Experts in the area of Infusion Therapy and IV Specialties, our clinically trained sales staff is supported by in-house clinical professionals. PMI’s synergistic product portfolio reduces healthcare cost by maximizing clinical efficiency and improving safety for patients, employees, and providers. PMI offers a range of infusion products, selected to provide innovative clinical advantages. This delivers a wide range of infusions: antibiotics, chemotherapy, total parenteral nutrition (TPN), patient-controlled analgesia (PCA), or general fluids therapy. Mount the BodyGuard pump on an IV pole or send it along with the patient. 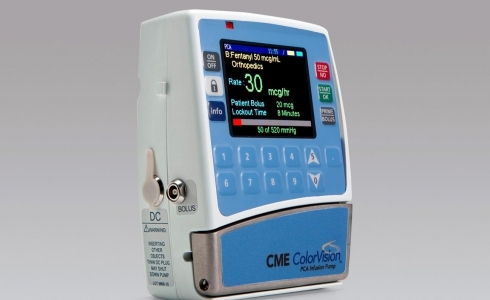 Deliver Epidural Analgesia Using a Drug Library and Color Display. Administer your own custom drug protocols for continuous or patient-controlled epidural analgesia (PCEA). 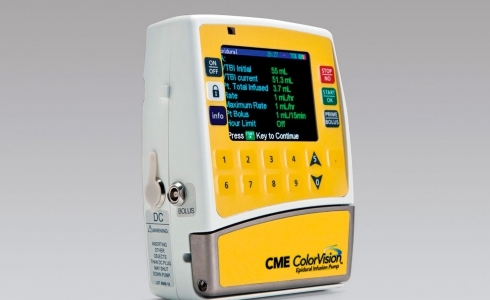 Use the auto bolus option to program intermittent dosing. For IV infusion, administer your own custom drug protocols for continuous or patient-controlled analgesia (PCA). 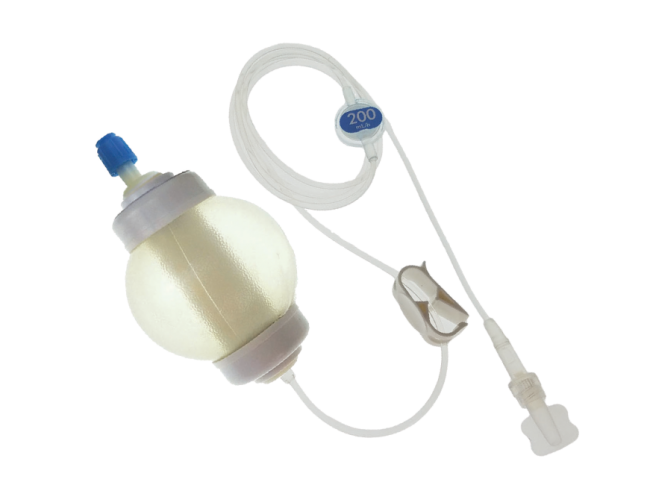 This IV pump fully supports weight-based dosing. The safe, accurate and simple solution for chemotherapy infusion. SMARTeZ® chemo rated pumps can be used to deliver the various infusion durations commonly prescribed with 5FU (Fluorouracil) as described on the over/under fill data listed on the brochure. Chemotherapy rated pumps are designed for chemotherapy medications: (1) Designed with a light protection membrane and tubing, and (2) a flow restrictor element & microbore tubing dimensions are specifically tapered to reduce the risk of occlusion or slowed flow rate when used with drugs prone to precipitation. The safe, accurate, simple, solution for short duration, long duration, and home infusion therapy. 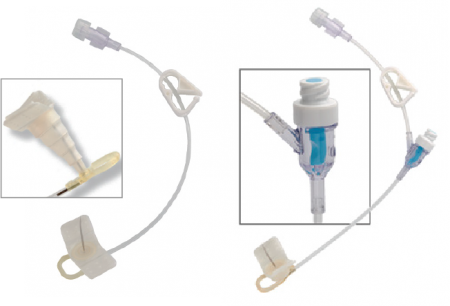 SMARTeZ® disposable elastomeric pumps are intended for intermittent and continuous antibiotic infusion, chemotherapy, pain management and general infusion therapies. 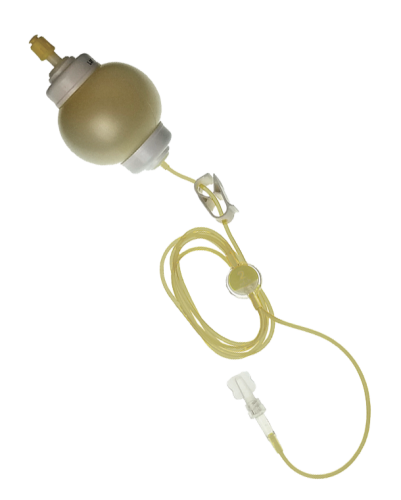 Disposable elastomeric pumps also known as “home iv infusion balls,” “ball pumps,” “home pumps”, or “grenade pumps” exert pressure to administer medication at a predetermined flow rate. SMARTeZ® pumps have superior drug stability and are available in more fill volume and flow rate combinations than any other elastomeric pump system. 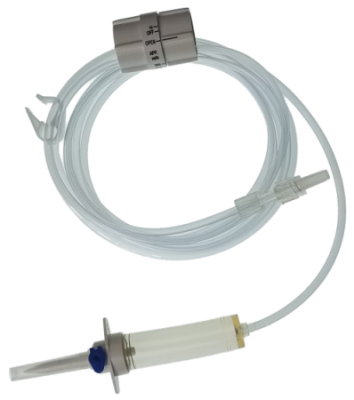 The PMI Flow Regulator IV set is the safe, accurate and cost effective solution to costly IV pump infusions. Our IV administration set offers consistency and accuracy during gravity fed delivery of medications. Designed with a universal vented spike, 100 inches of kink free tubing, and a smooth adjusting dial, our flow regulator will accurately dial a flow in the range of 5-300ml/hr. The PMI Huber Safety Infusion Set is a safety IV administration set used to access vascular ports. The low profile design and soft wings are ideal for patient comfort. 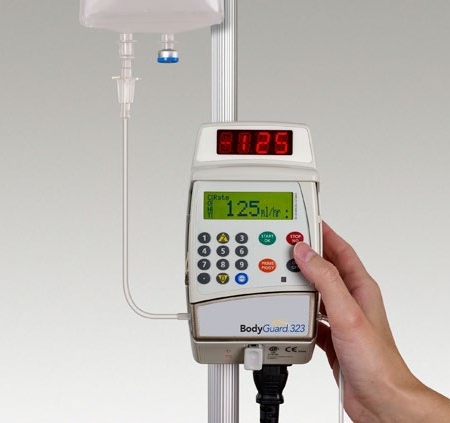 These power rated infusion sets feature patent pending design technology focused on safety and ease of use. Available in a variety of needle gauges and lengths these port access safety sets are designed to protect the clinician and provide patient comfort. 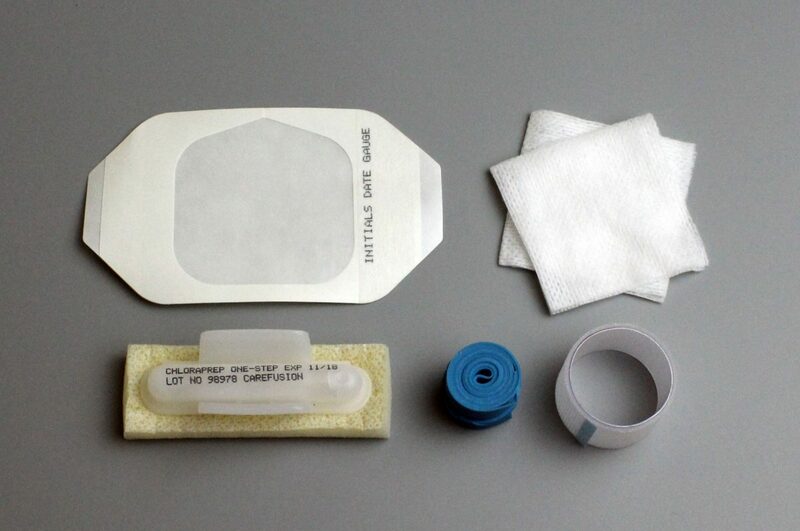 The PMI IV start kit, dressing change tray, and laceration kit are conveniently packaged with a variety of sterile supplies needed to ensure safe, compliant, and consistent application and administration. The PMI Pharmacy Pump Set transfers fluids during aseptic pharmaceutical compounding and is compatible with the *REPEATER® peristaltic style pump. 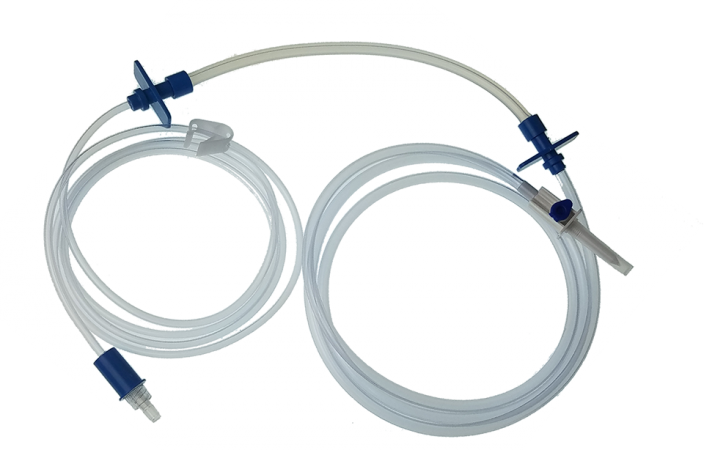 Our pharmacy pump tubing set is ideal for filling syringes, vials, elastomeric pumps, bags, and bottles. Our flexible tubing sets enable the sterile reconstitution of medications and IV admixing. *REPEATER is a trademark of Baxter International Inc. Progressive Medical Inc. is not affiliated with Baxter International Inc. 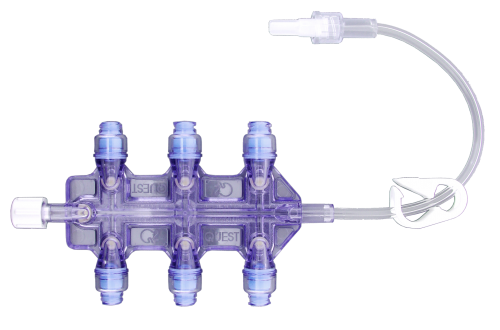 Specialty IV sets used in OR, Adult and Neonatal/Pediatric Critical Care units, Cardiology and any setting were a clinician will use a 2-9 IV manifold to administer infusion therapy. Offering rigid and flexible IV administration extension sets to fit clinical preference and patient needs, the Q2® needleless luer access ports provide virtually zero residual volume. Quest’s Q2® split septum, technology offers a swabable valve, needle-free connection, and heparin-free flushing solution.